King Chef has something to offer this month of May. 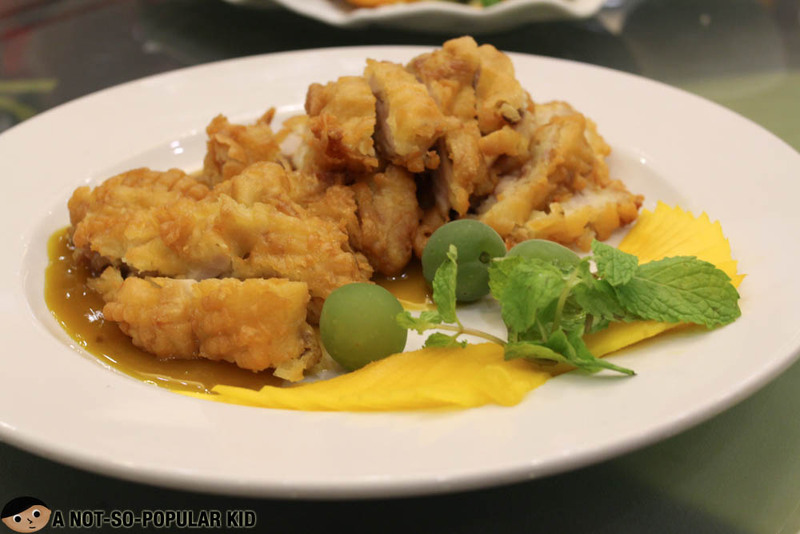 It's launching its set menu tailored for the upcoming special occasion - Mother's Day! 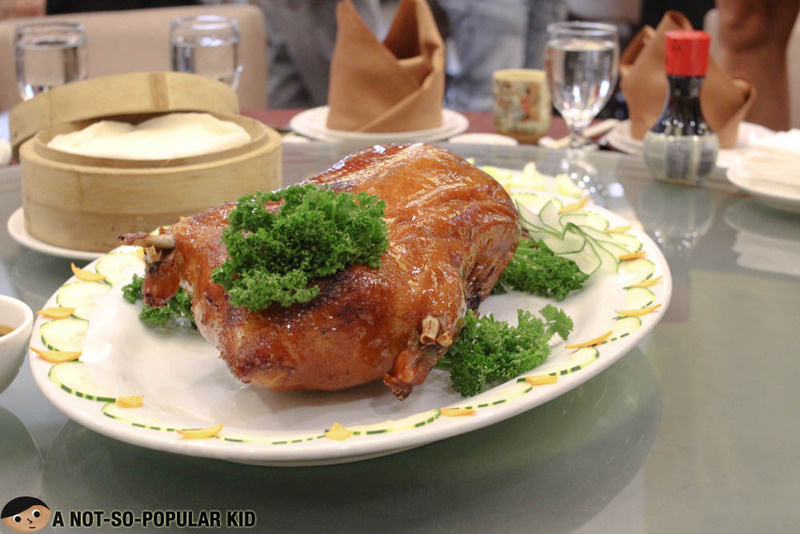 If you are still thinking about whether to treat your mom this Mother's Day, King Chef makes a great candidate. The interior here has an air of sophistication yet retains its comfortable feel. 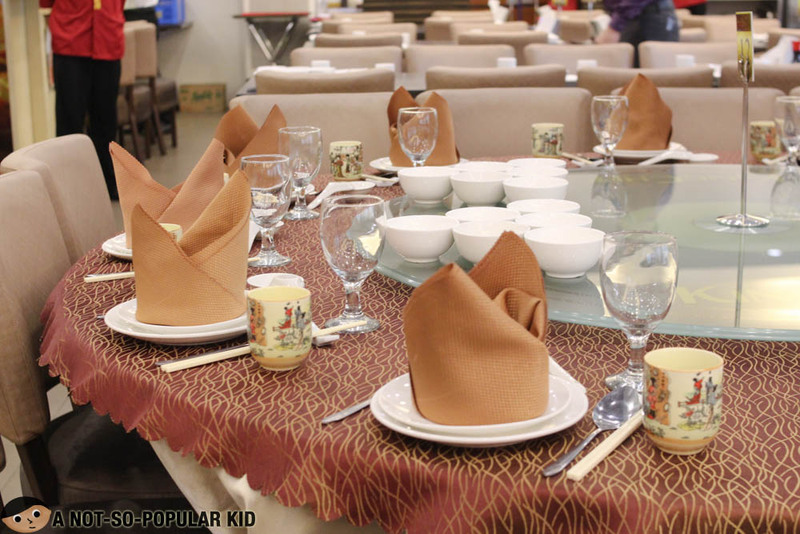 Plus, the grand circular tables definitely make the restaurant a perfect place for any family gatherings. In celebration of Mother's Day, King Chef is bringing out 2 set menus for the whole month of May. 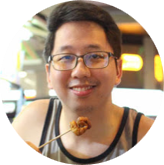 In this blog post, you'll be learning about Set B. If you are interested in checking out Set A, you may want to read EATSploration's post. 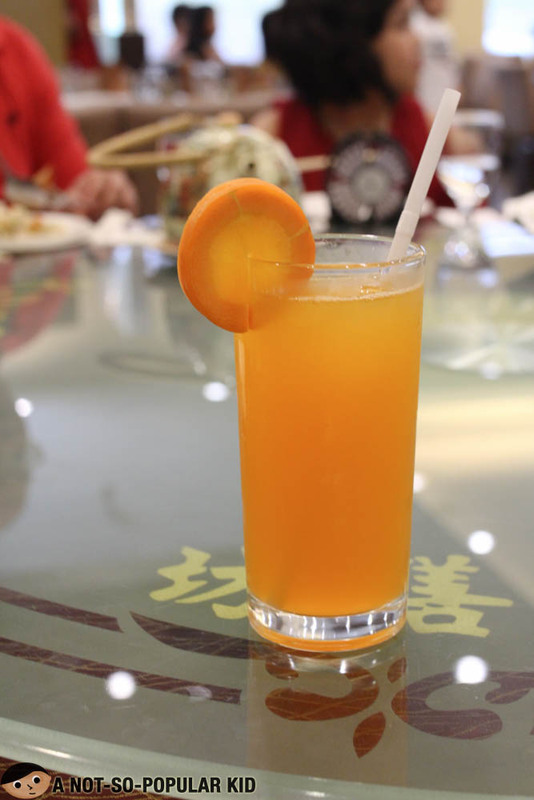 Aside from the set menus, King Chef also previously launched its summer drink collection. 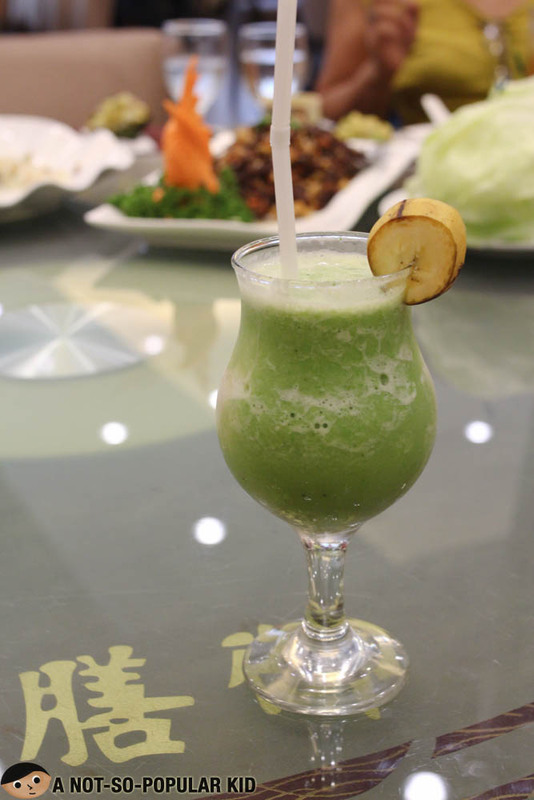 All of these are freshly made to bring out more delight in your dining experience. I was able to try the Banana Spinach and it was incredible! It was refreshing and definitely healthy! 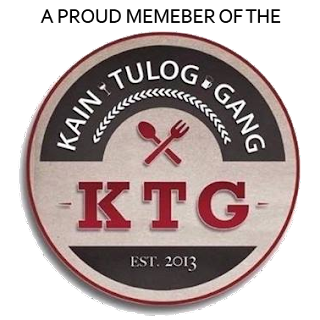 Let's begin the feast and start checking out King Chef's Set B menu! 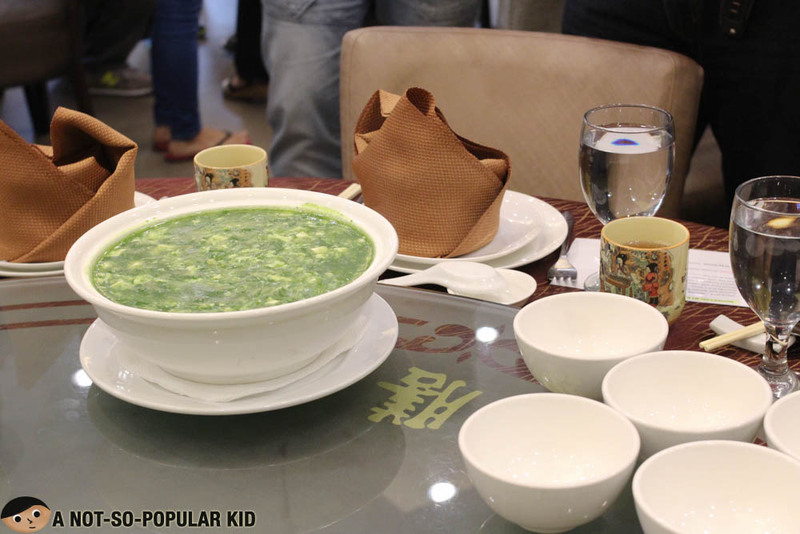 The Seafood with Spinach Soup is a personal favorite! It has a balanced veggie taste (perfect for those who just want the vegetable to be mild) yet produce this heartwarming taste! 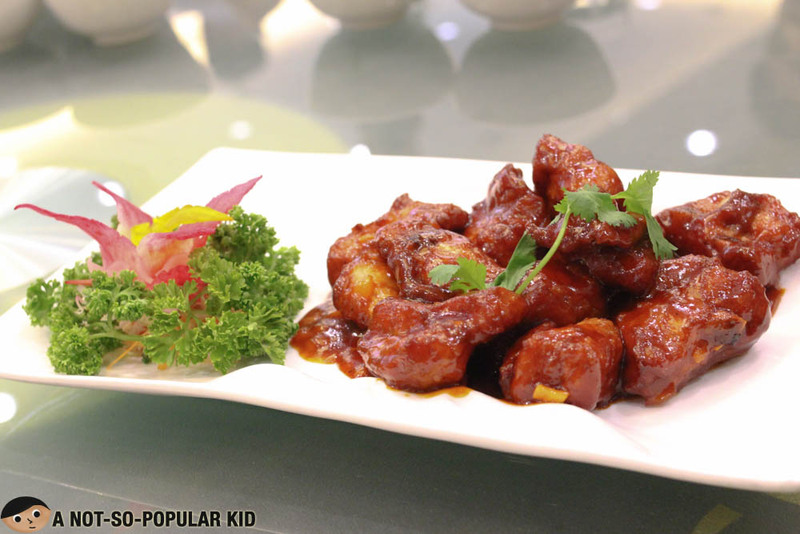 The Spareribs in A-1 Sauce will tickle your taste buds with its savory sweetness! 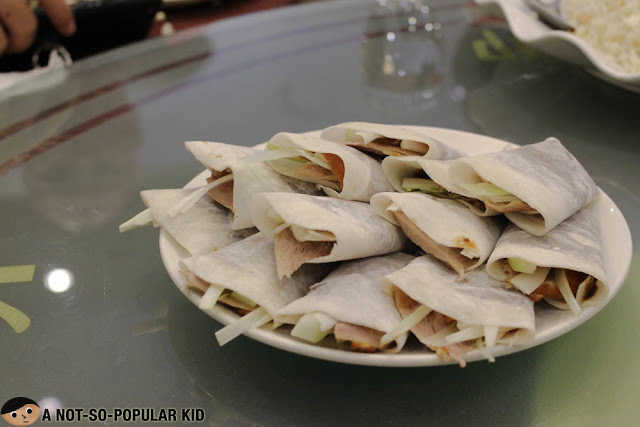 Minced Duck with Lettuce is another specialty dish under the cuisine. It's another favorite of mine. The way you eat this is you wrap it with lettuce and put hoisin sauce. Incredible! 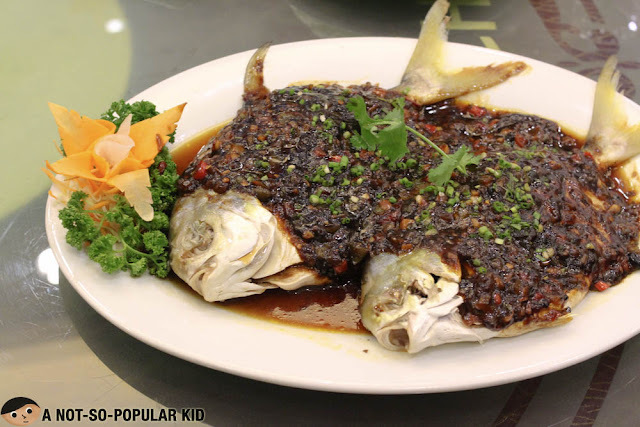 Steamed Pampano in Chili Taosi is great for those who love fish and want some kick to go with it. If in case you don't want to go for a set menu, you can order ala carte dishes. 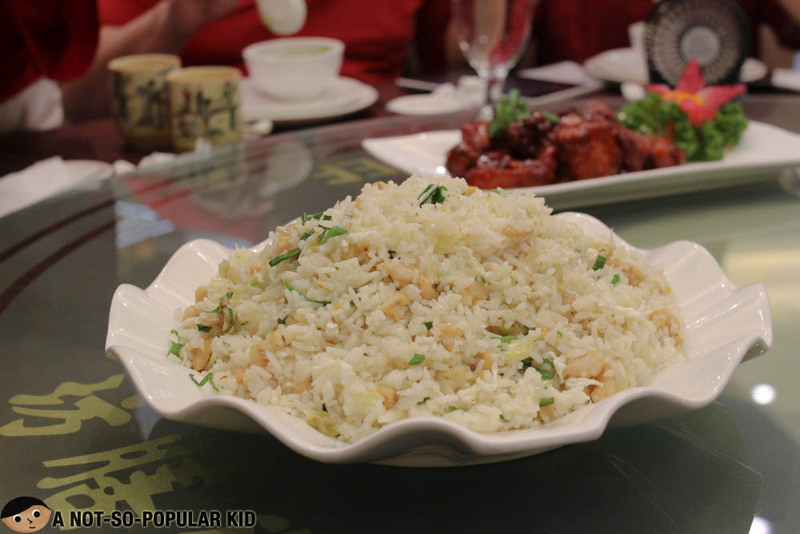 You're still in for a big treat because they have wide selection of dishes. 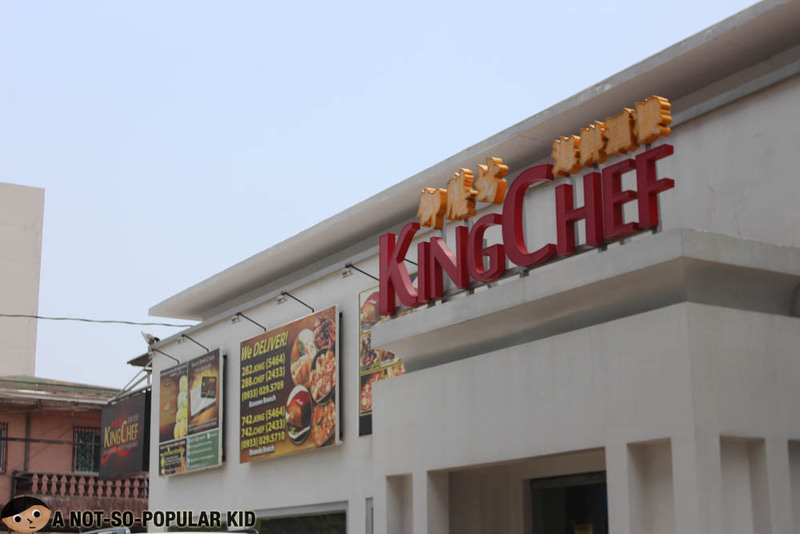 To add to the already great variety, King Chef launched two dishes available for a limited time. 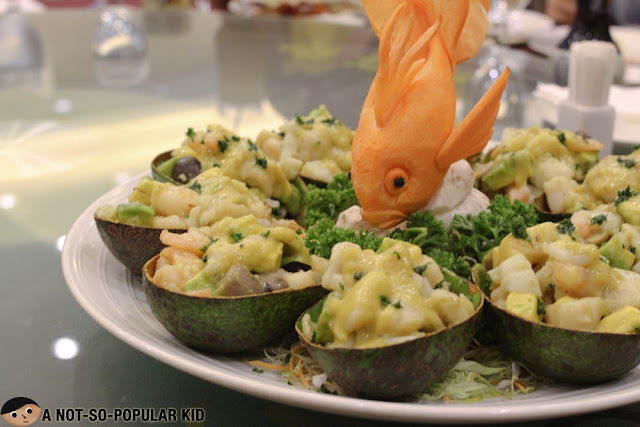 The Avocado Seafood Salad is a fresh interesting concept which is very much recommended for those into bountiful seafood. The twist of avocado makes it very unique! No plans yet for your mom? Well, worry not more. All you need to do is head in any King Chef branch (Lucky Chinatown branch in Binondo and one in Quezon City) and your celebration will already be taken care of. 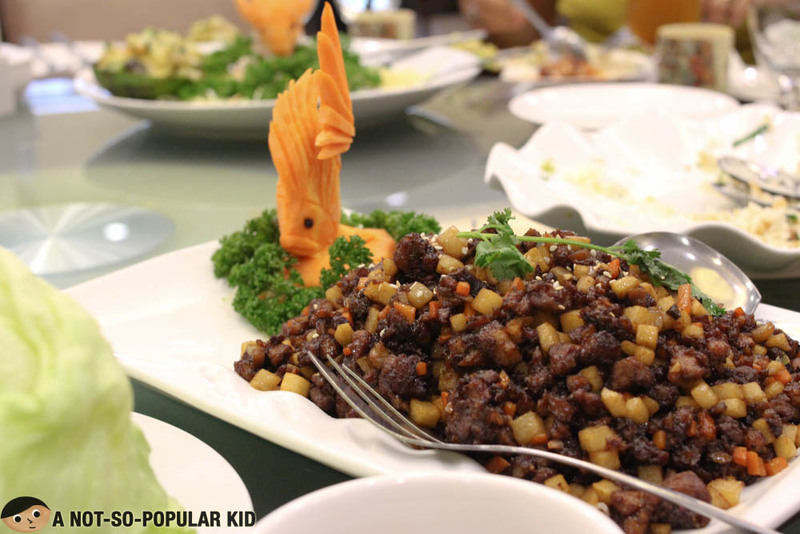 This set menu is available at only P3,888 (good for 6 persons) for the month of May, so be sure to check it out. 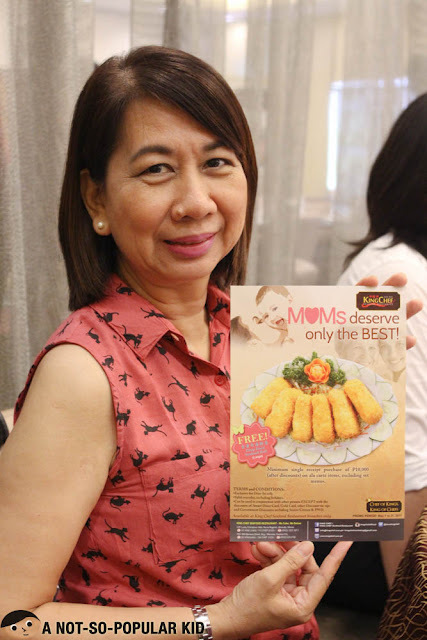 Special gift awaits your mom!